Bullies. A thing that is everywhere you go, even the internet has them, they’re known as trolls. Everyone has their own stories of these people who pick fights just for fun, or to try and be the cool one. Though in reality, it’s their own way of expressing how much they hate themselves. They take their feeling and lash it onto others thinking it will make them feel better. 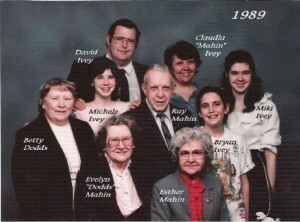 I have a lot of stories from my past of bullies and I’ll like to share one with you all today. Teenage Mutant Ninja Turtles II opened up on the streets of New York City and came down to a pizza place, Roy’s, with the crowd buzzing and eating pizza. A young delivery boy is called over to deliver a pizza to “That O’Neil Lady”. The scene is well known as it introduces Keno to the movie. Though how many fans have known the location of Roy’s? First off, I want to apologize for Cowabunga Corner’s website being quiet for so long. On November 18th, I went through surgery for my RSD, with a follow up surgery on December 12th. Since that time I’ve been healing and going through the Holiday rush and I’m just now getting some time to look back at the last few months. During this time, I was able to keep up with all new episodes of Cowabunga Corner on YouTube and the Facebook page. The actual website is the only area that I could not bring myself to update, though I did try. Life has been hard this last week, waking up daily with little to no sleep as I rely on pain killers to just help get through the day. For those who don't know, I went through a surgery on November 18th. This is the surgery I've been waiting for since 2008 to help with the pain caused by RSD, read about RSD here. Though the first part of the surgery has taken place, they were not able to finish. I will have to go back in for a smaller surgery to finish what they need to do. In the meantime, I’m still in my normal pain though now it is coupled with the pain from the surgery. Cowabunga Corner is very happy to say that things have been going very well for Season 3 and we have a lot to share with our viewers. To thank our viewers we’ve decided to add a gift to the first 30 people who order the Cowabunga Corner T-Shirt. Each person will recieve our Cowabunga Corner Promo Card autographed by guests from TMNT History! Read more about Cowabunga Corner Promo Cards! Order Your Limited Edition T-Shirt Today! Cowabunga Corner T-Shirts are now up for order! These are limited edition T-Shirts! Limited to the amount of shirts that get ordered between now and September 5th. It is the very first Cowabunga Corner T-Shirt! The front of it has our logo, while the back has a design by Tim Jot, the winner of the “Cowabunga Corner T-Shirt Design Contest”. Read more about Order Your Limited Edition T-Shirt Today! Cowabunga Corner T-Shirt Contest update! Hey everyone, all entries are in and the voting is going on now for the “Cowabunga Corner” t-shirt design. The winning design will be used for the first run of the “Cowabunga Corner” t-shirts. These will be limited edition, made to order during a short slotted time. Voting ends June 1st when the winner will be chosen based on which design has the most votes. After that, t-shirt orders will be taken. A few months ago, Cowabunga Corner put together a fan page on Facebook. 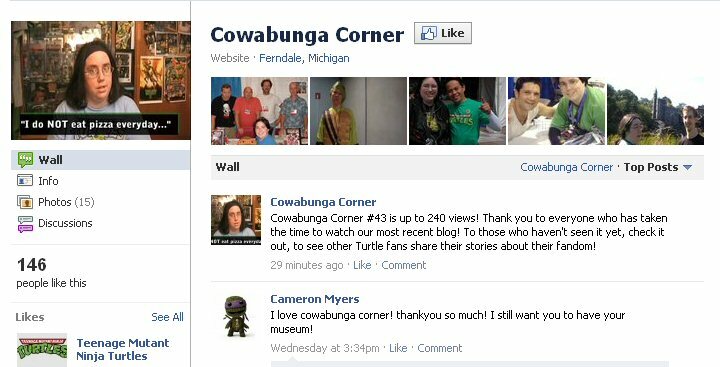 This page has been going over really well with updates throughout the day, about the upcoming episodes of Cowabunga Corner, sharing photos of my past with fellow fans and TMNT Guests. We always have a lot of fun stuff to share and we’d like our readers to know about the different areas where they can find our stuff. Read more about Cowabunga Corner on Facebook! Caring. Thoughtful. Wise. Inspirational. These are a few words that I could use to describe my grandmother. I’m sure everyone has someone in their life that they can give a lot of credit to for who they turned out to be in life. For me, I have a few people who helped me find my way through life. Today, I’d like to talk about one of those people, one who helped me not fall into depression through my childhood with the terrifying events that I would go through at school. I’m writing this story to help get awareness out there for something that I have lived with for six years now. RSD, also known as Reflex Sympathetic Dystrophy Syndrome, is very painful and debilitating disorder. Someone just touching a person who has RSD can cause pain to that person with the slightest touch to the area where the RSD is affecting the person. For me, it’s my right arm. Here is my story, one I’ve told thousands of times in the last six years.